Lock picking can be a useful little skill to have especially when you are locked out of your home or have lost your car keys. 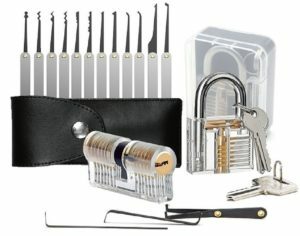 Lock picking can be a deeply rewarding hobby and it is something that is not easy to pull off as well. This is why locksmith services are pretty expensive, and if you display good lock picking skills, you could become a locksmith and maybe even start designing locks. Being a professional lock designer can be incredibly profitable if you possess the right skill level. We disavow and discourage lock picking as a crime in all aspects, and we strongly advise our readers from using their skills in a negative manner. As lock picking is a crime in most places, you may be breaking the law as an amateur lock picker. Certain states may not allow citizens to own lock picks and it is crucial to understand what you can and cannot do in terms of lock picking. Ideally, you should ask a professional locksmith for advice as the professional will be able to provide proper guidance. In order to be as safe as possible, we recommend that you purchase a bunch of locks and sit at home and try to break them down. This way you are reducing your legal liability and you are essentially not breaking in anywhere. 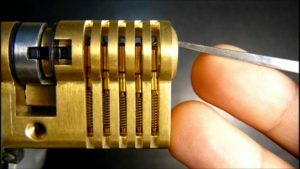 There are several tutorials on YouTube that provide excellent guidance when it comes to lockpicking, and you could learn a lot. Some of the best YouTubers such as Lockman 28 and Wayne Winton have some unique content that will enable you to learn a great deal about lockpicking. The more videos you see, the better your knowledge base becomes. Initially, we recommend that prospective lock pickers purchase at least 3-4 locks of varying degrees of complexity in order to gauge their skill levels. The practice locks will determine if you can actually do something with this skill and find out what locks are recommended for beginners. Most beginners typically start with a padlock, a keyed knob or a pin tumbler deadbolt. Understand the lock’s level of difficulty before purchasing it. Choosing the picks is super important as well. You need to choose picks based on the complexity of the practice locks you purchase. For basic locks, you can ideally get a universal pick, consult with experts before your purchase. If you have purchased an electronic lock or a tubular lock or some other complex lock, you will need to purchase dedicated pick sets. 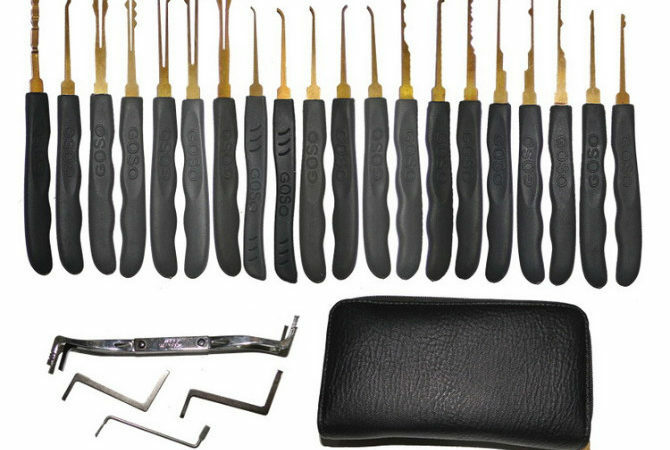 However, we recommend purchasing basic locks and picks initially to understand your skill level.